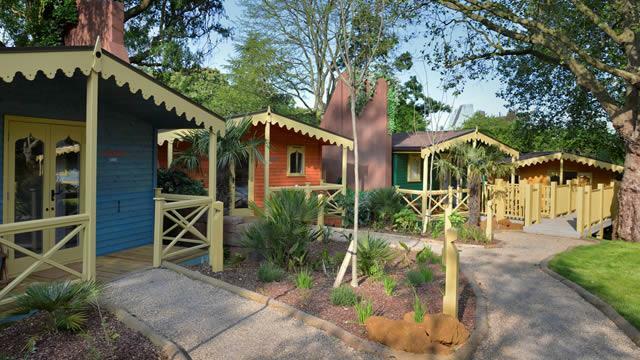 Stay in one of nine colourful cabins nestled in the heart of the Land of the Lions exhibit. Decorated with a hand-painted mural, each lodge has been named after an animal from the Gir Forest, home to the only wild population of Asiatic lions. Lodges come equipped with cosy beds and an en-suite bathroom. As part of the Gir Lion Lodge experience, guests are provided with an evening meal and breakfast. Hosts guide guests around the zoo on exclusive morning and evening tours, sharing their insider tips on spotting species. The experience is open six nights a week from February to December, with family and adult-only nights. The nine lodges provide accommodation for up to two adults and two children.